Kelly Lynn Kimball is an abstract painter specializing in oil pastels. She paints using her hands and body. Lab Art Show asked her to showcase her work and create a piece live. 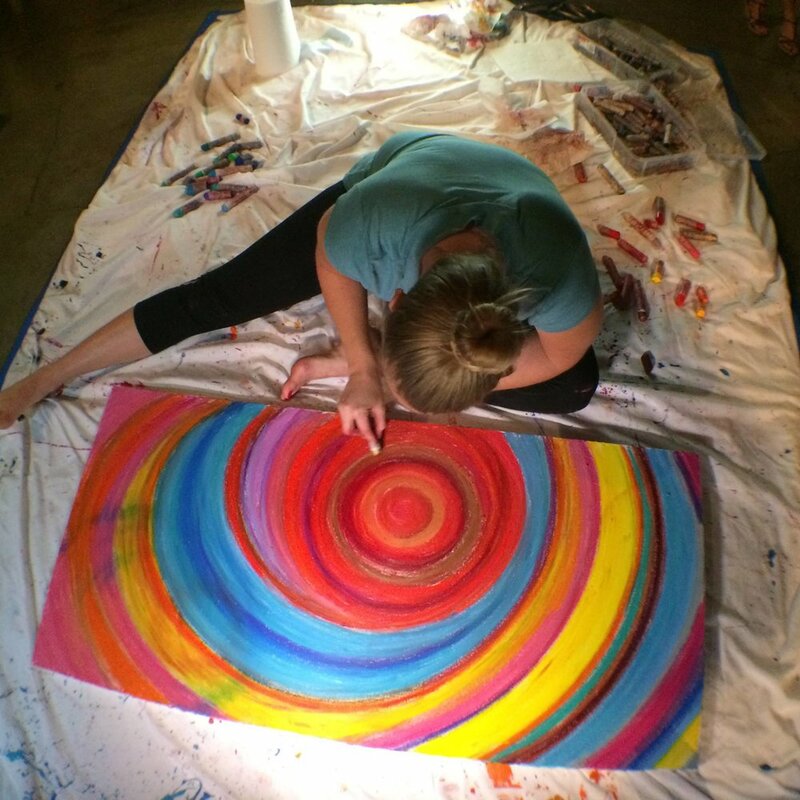 Between the eclectic mix of people, art and music, Kelly Lynn took it all in and gave back to the audience the way she views life ~ abstractly in vibrant color. Creating is my obsession and U2 is a solid inspiration any day!